The program embraces many of the themes that challenge healthcare providers across the world —insurance, accreditation, marketing and promotion, quality, patient safety, levels of care and experience in treating international patients. Increasingly, patients are traveling at record numbers to take advance of cut-price healthcare. The medical tourism industry is growing by up to 25 percent each year as patients with passports head abroad for procedures costing as much as 80 percent less than in their home country. Partially driven by 1.2 million Americans, the industry is now valued to be worth up to $55 billion — offering patients advanced treatments in infertility, plastic surgery, cosmetic dentistry, hair loss treatments, cancer care, and more. The IMTJ divided its winners into categories, including best hospital, specialist patient center, dental clinic, fertility clinic, travel agency and website. "All our winners exemplify the way the medical tourism industry should be run — professional, offering exceptional patient care and providing the best possible medical outcomes," stated Keith Pollard, IMTJ's managing editor. Malaysia has developed into of the prime destinations, with successes in three categories. Gleneagles Kuala Lumpur, a 330-bed care center that offers airline travel discounts to inbound patients took the hospital accolade. The center has grown into a leading healthcare service provider in Malaysia and the South East Asian region of the highest repute, treating over 26,000 inpatients and over a quarter of a million outpatients each year. In providing infertility care, especially something as delicate as conceiving a child, there should be no compromise on the quality of care a patient receives, Kuala Lumpur's Prince Court Medical Center attained the award for best fertility clinic. Its International dental specialist center was named as the best place for teeth tune-ups. IDSC is well equipped with 12 dental surgeries, one operating theatre, x-ray and sterilization room and a state-of-art auditorium. Jordan was named as the best overall destination for its success in handling 250,000 international patients. Jordan’s hospitals achieved extraordinary success in dealing with the phenomenon of the “Arab Spring” and in treating patients from Arab countries affected by revolutions. 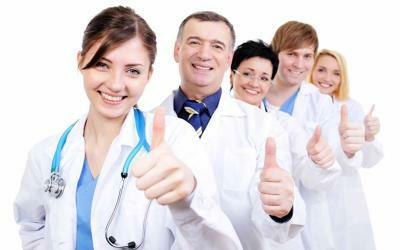 Read the entire list of the 2014 Medical Travel Awards winners.